Thomas Lockard was born and raised in Medina, Ohio, and soon after graduation moved to Boston to pursue a career in aviation. He moved back to Ohio two years later and joined the United States Air Force, which brought him to Nellis Air Force Base where he served as a crew chief for the F-16 fighter aircraft. Tom entered the apprenticeship at Carpenters Union Local 1977, an opportunity he found through Helmets to Hardhats, a nonprofit organization that works to help veterans find civilian careers once they’ve transitioned out of the military. 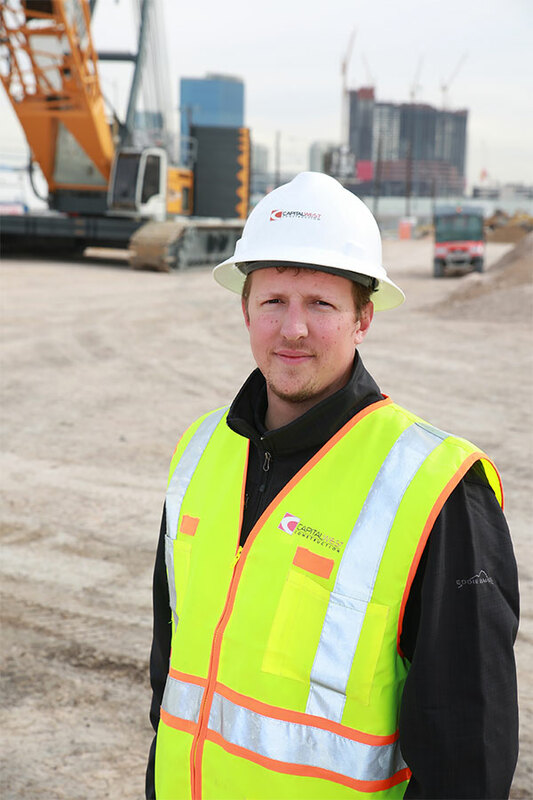 A certified crane rigger and signal man, Tom has worked with some of the heaviest concrete panel lifts in Nevada. To date, Tom has worked on notable Las Vegas projects such as T-Mobile Arena, Mandalay Bay Convention Center, Downtown Grand, the Caesars Palace Tower remodel, Resorts World Las Vegas and the home of the Las Vegas Raiders. Tom is married with three children who love to see the projects their dad has helped build.